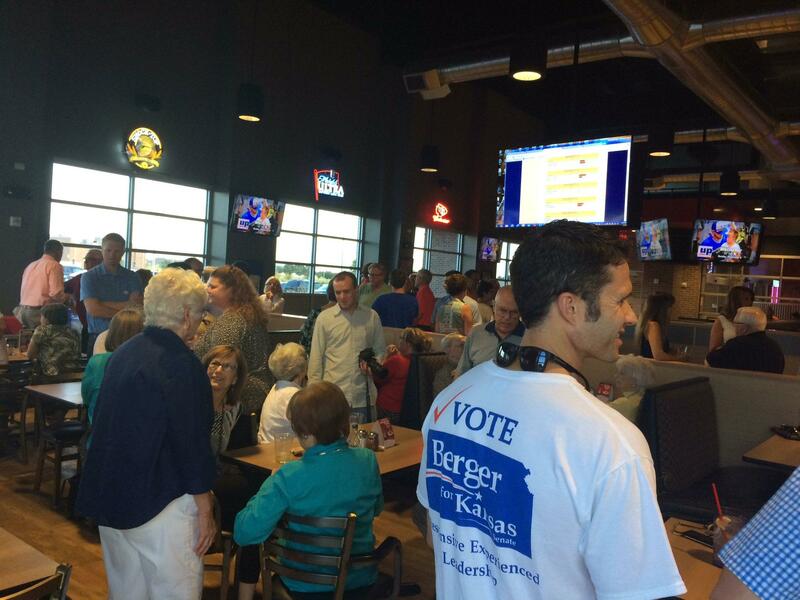 Supporters gathered Tuesday night in Hutchinson, Kansas, for Ed Berger. Bruce has been a political ally of Gov. Sam Brownback and several moderate Republicans say his loss and others signal statewide discontent with the governor and the tax cuts he spearheaded that preceded an ongoing budget crisis. Sen. Larry Powell, Sen. Tom Arpke, Sen. Forrest Knox, Sen. Jeff Melcher and Sen. Greg Smith are also among conservative incumbents who appear to have lost their seats in election results that still have to be verified by election canvassers. Moderates also picked up two other Senate nominations in open primaries in which conservative senators decided not to run for reelection. Wagle is generally conservative, but had expressed some openness to changing a portion of the governor’s signature tax plan that exempted more than 300,000 business owners from paying any income tax. She also predicted serious tax talks in the Legislature’s future after it became clear that several conservative colleagues who resisted rolling back the Brownback tax plan would not be returning . There was also some shakeup at the federal level, where U.S. Rep. Tim Huelskamp lost his primary race to Great Bend physician Roger Marshall by more than 10 percentage points. Marshall got the backing of large farming and ranching groups after Huelskamp lost his seat on the U.S. House Agriculture Committee. Andy Marso is a reporter for KHI News Service in Topeka, which is a partner in a statewide collaboration covering elections in Kansas. You can reach Andy on Twitter @andymarso. Americans tend to think that each election is a littler dirtier than the last. Certainly that is the feeling among many candidates running for the Kansas Legislature as attack postcards fill mailboxes as the Aug. 2 primary quickly approaches. This year the postcards often focus on education. Who is for kids and who is against them? Let's use the Republican primary for House District 21, which includes Prairie Village, Mission Hills plus chunks of Overland Park and Leawood, as an example. More often than not, Republican incumbents in Johnson County are skipping what was once a mainstay of campaign season – the candidate forum. I’m not talking about one or two no-shows. I’m saying the League of Women Voters invited every candidate in a contested primary to participate in a political meet and greet in June, but not one of 14 Republican incumbents showed up. Their challengers did, but they didn’t. Which begs the question: where are current lawmakers campaigning? Kansas doesn’t have a reputation for corruption like Chicago where political bosses stuffed ballot boxes and sometimes raised the dead to alter the outcome of elections, or like Florida, home of the infamous hanging chad from Bush v. Gore. 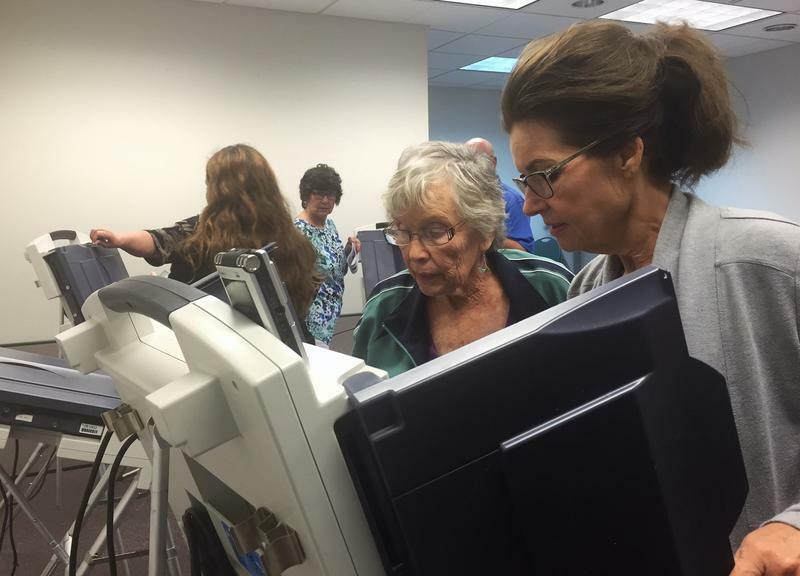 But concerns about tampering appear to on the rise, at least among Kansas Democrats, because of unusual voting patterns in the 2014 elections and persistent reports about the vulnerability of electronic voting machines.